A richly historic man made waterway, the Great Dismal Swamp Canal MegaSite is dedicated to the enslaved and free men that built the oldest made waterway in America. 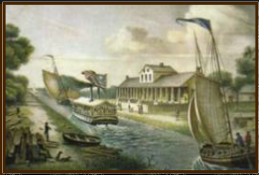 Now recognized as part of the National Underground Railroad, this historic waterway is a national treasure and the basis of this website. No legislative issues at this time!